It looks rather summery, people are even still in the sea. 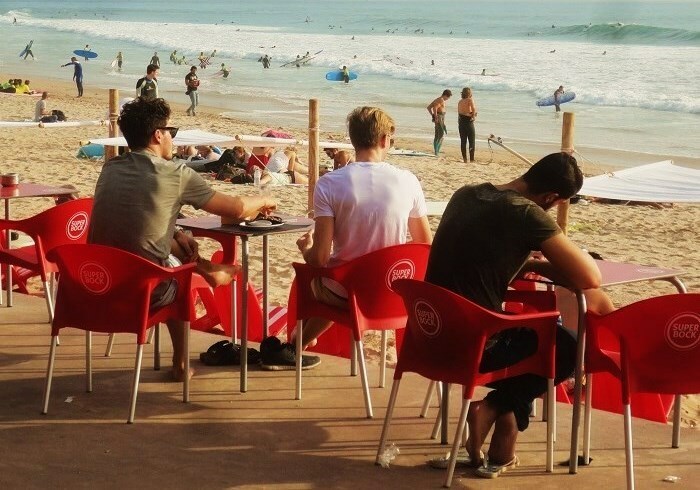 beautiful pictures, love the red chairs. 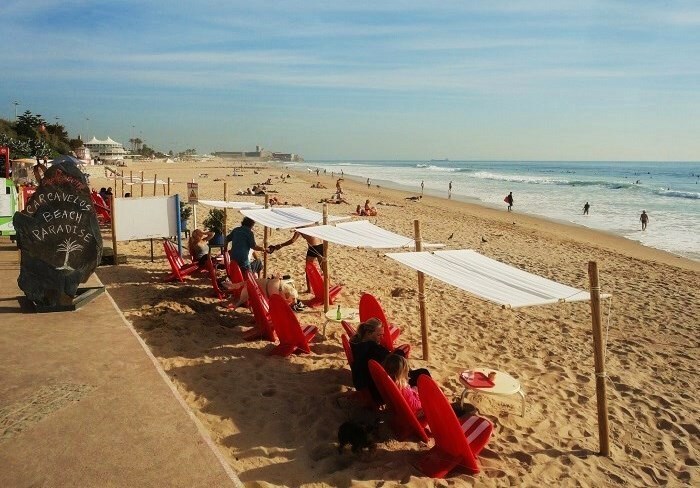 I like those red beach chairs and awnings. Lovely weather for November! Everyone is having a good time in this sunny spot! I see a lot of people out there giving the surf a try. Wow, not bad for this time of the year. What a great place to do some people-watching, have a bite to eat, etc. Nice weather, too. It's finally cooled down a bit here. You have to enjoy a day like that, JM! A nice place to have a coffee in the sun! This is the place to go away in November. What can I say--- Heavy rain, cold, windy... I'd rather be there. Now that's where I want to go for the Fall season!! Great captures, as always, Jose!! I do hope you have a wonderful weekend!! Enjoy!! Does it ever get cold there? What a treat to sit on the beach on a November day! European beaches are so different from Australia. Even our urban beaches seem less tamed. In November! You won't see this by the Mississippi. Are you sure it is November ... hih.